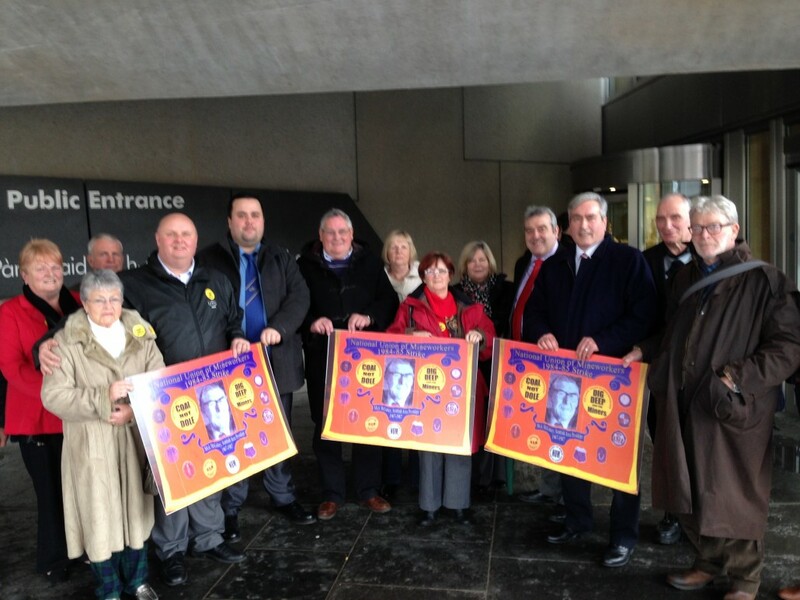 County MSP Iain Gray has led a debate in the Scottish Parliament on the 30th anniversary of the 1984-85 miners’ strike. Mr Gray opened his members’ debate, held on 20th March, by acknowledging what a great privilege it is to represent a coalfield constituency such as East Lothian, and to lead a debate on an important moment in the UK’s relatively recent history. 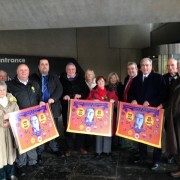 He also welcomed to the public gallery some of those who lived through the reality of the dispute, including former miners from East Lothian. The MSP went on to reflect on why the 1984-85 strike still has such a powerful resonance 30 years on. He began by reminding people that mining was an industry with a thousand years or more of history in East Lothian and Scotland. Mr Gray suggested the fact that the strike was a struggle not just to save jobs, but a whole industry, was one of the reasons it remains so important to so many people. Mr Gray spoke about the sense of solidarity imbued in mining families and communities, the strength this gave coalfield communities and how it and many other qualities helped them cope during the dispute. He also described how whole communities mobilised in support of the striking miners, using various examples in East Lothian to highlight the point. These included the Labour club in Prestonpans, which was turned over to the strikers as their headquarters and soup kitchen, the generous support of the Co-operative in coalfield communities across the county, The Royal Musselburgh Golf Club, which felled its trees for fuel, and the hardship fund set up by East Lothian District Council to help miners and their families. Mr Gray went on to stress the importance of commemorating the miners’ struggle, and, in so doing, also remain true to the ideals which sustained mining communities throughout their struggles – community, solidarity, justice and fairness. He ended his speech by suggesting that these ideals will ensure that the men and women of the coalfields will never really be defeated. “Representing coalfield communities in East Lothian these past seven years has enabled me to build up a strong understanding of how local miners, mining families and mining communities were affected by the 1984-85 strike. It is clear that the dispute has left lasting scars on many individuals and communities, and retains great significance to those were involved 30 years ago. “For these reasons I was keen to mark the anniversary at Holyrood. This members’ debate enabled some of the many important aspects of the dispute and its lasting impact on coalfield communities to be considered in Parliament. I was particularly pleased to highlight the great solidarity shown with the striking miners in communities across East Lothian, as well as the support of the wider labour movement and East Lothian District Council. “I also emphasised the vital role played by local women who rose up too, with their husbands, their fathers and their sons, and organised. In the soup kitchens, on fundraising tours and trips at home and abroad, and on the picket line itself, they did not just support the strike but rather shared in the leading of it.